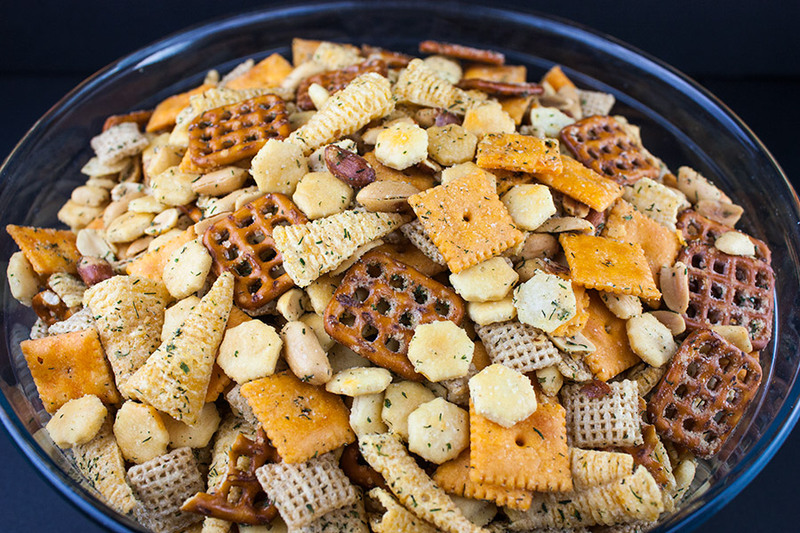 Ranch party mix is so easy to make and always the party favorite. 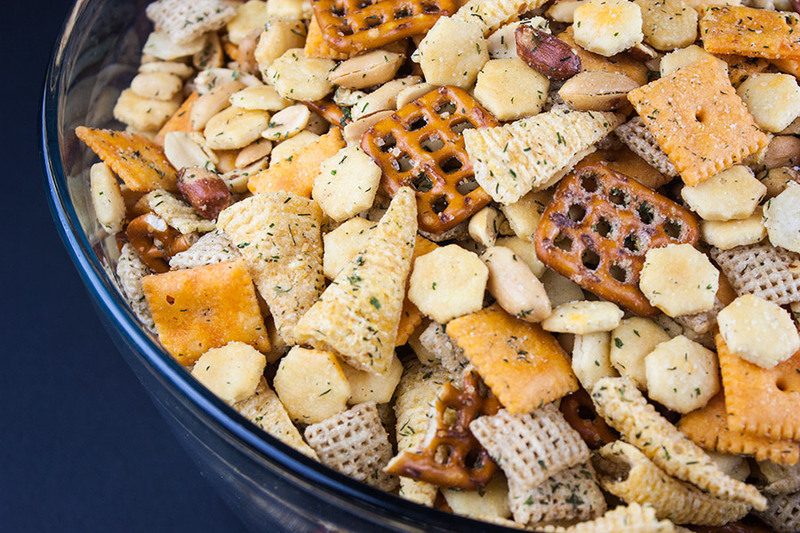 If you can keep your hands out of this ranch party mix there should be plenty to serve your guests. I warn you yet again this stuff is HIGHLY ADDICTIVE! 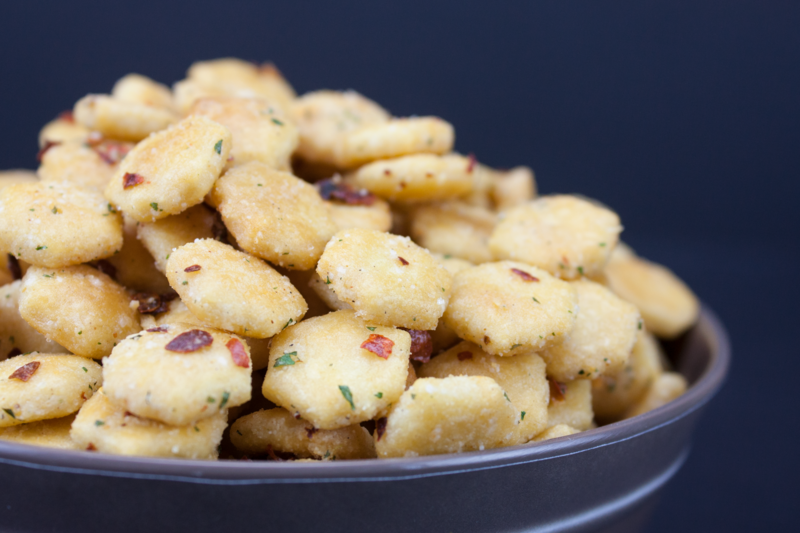 It’s almost as addictive as our Spicy Oyster Crackers. 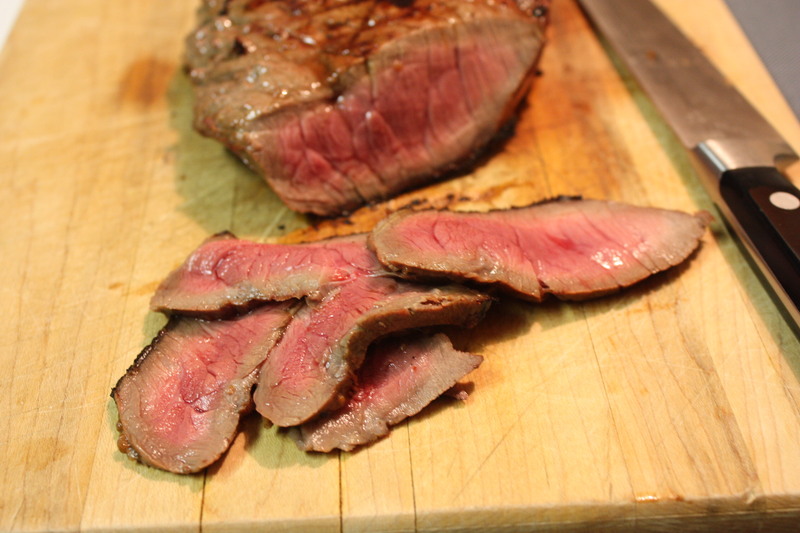 The minute I pull this out of the oven if I’m not diving in, hands are flying around behind me to get a quick hot grab. No need for prep pics for this one. 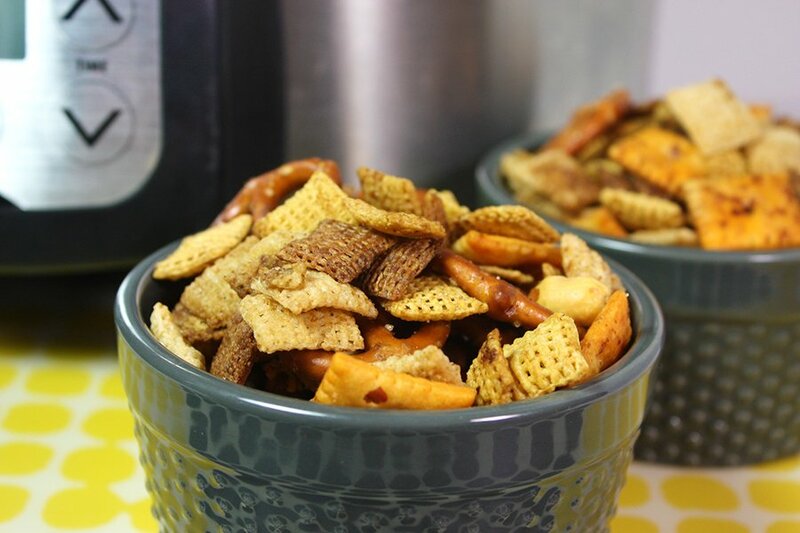 Pour the oyster crackers, rice Chex cereal, cheese crackers, Bugles, peanuts, and pretzels in a large roasting pan and gently toss. I use my lasagna pan. Slowly drizzle the oil evenly over the mix, toss again. 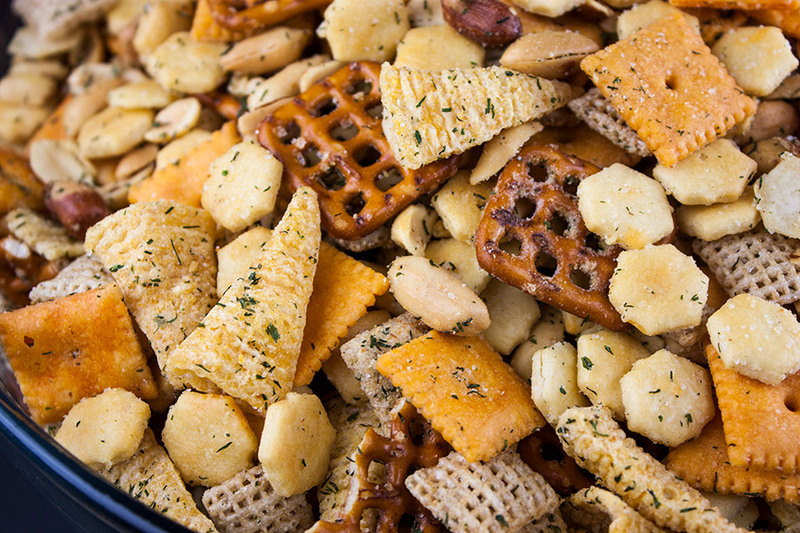 Sprinkle the ranch mix, garlic powder, onion powder, and dried dill weed evenly over the top. 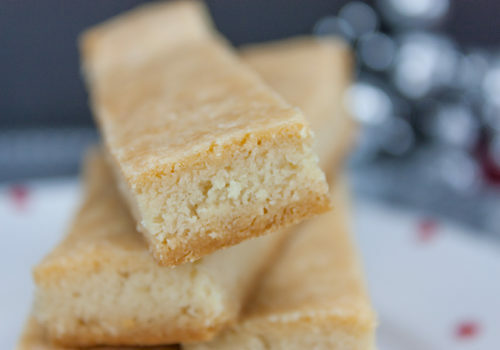 Gently mix to evenly coat and bake. Stir every 15 minutes. 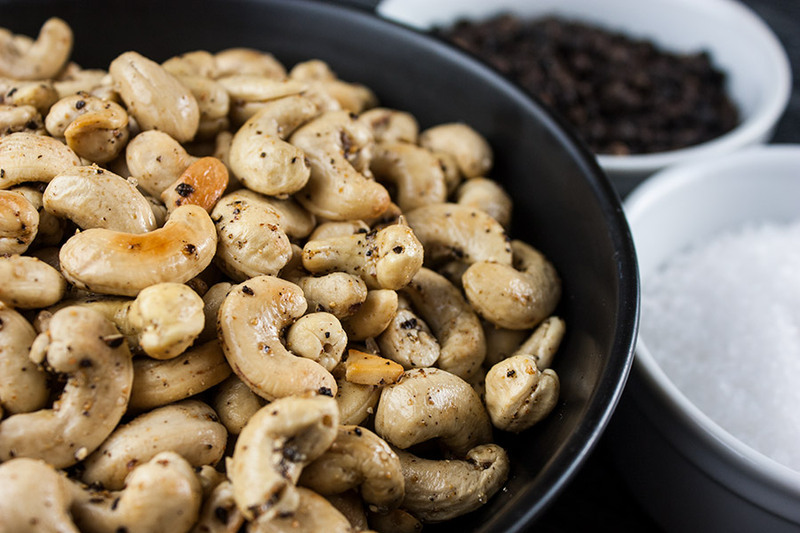 Remove from the oven pour into a very large bowl and serve. Store leftovers in an air-tight container. If you have any, that is. 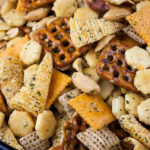 In a large roasting pan pour the rice cereal, oyster crackers, cheese crackers, Bugles, pretzels, and peanuts gently toss. 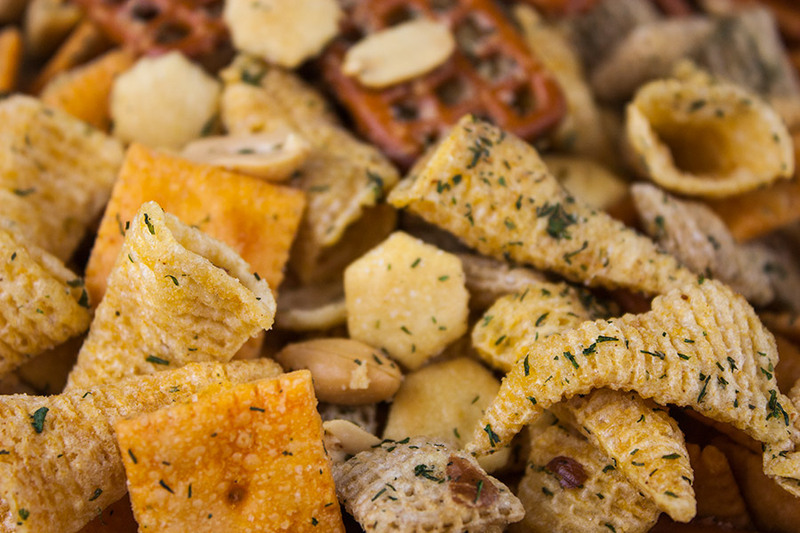 Drizzle vegetable oil evenly over the mix. Sprinkle the ranch dressing packet, onion powder, garlic powder, dried dill weed, and seasoning salt evenly over the mix. 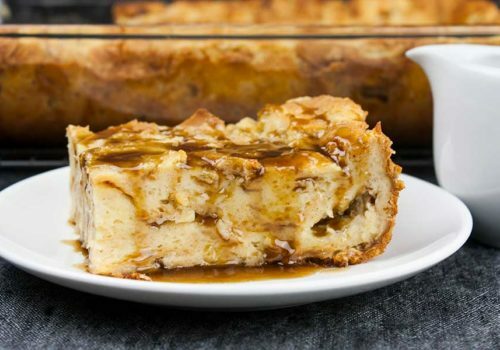 Gently toss again to coat evenly.